UPDATED: Mon., Feb. 12, 2018, 12:40 p.m.
Defense Minister Nirmala Sitharaman told reporters in Jammu, the site of the attack, that New Delhi would present Pakistan with evidence of the involvement of the outlawed militant group and its leader Masood Azhar, who “derived support” from Pakistan. At least three armed men attacked the Sunjuwan army camp at dawn Saturday and fought Indian troops for over 48 hours while holed up in the residential area of the camp. The attack left five soldiers and one civilian dead and 11 others injured. In 2016, India blamed the same group for an attack on another army camp in Indian-held Kashmir that left 17 soldiers dead. 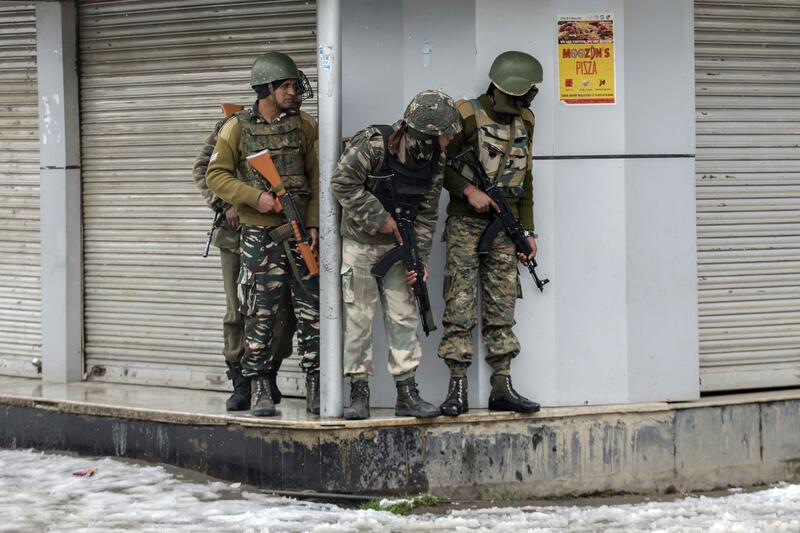 In continuing violence in the troubled Himalayan region, one paramilitary soldier was killed Monday when two gunmen opened fire near a paramilitary camp Srinagar, the region’s main city. Anti-India sentiment runs deep among Kashmir’s mostly Muslim population. Published: Feb. 12, 2018, 8:08 a.m. Updated: Feb. 12, 2018, 12:40 p.m.